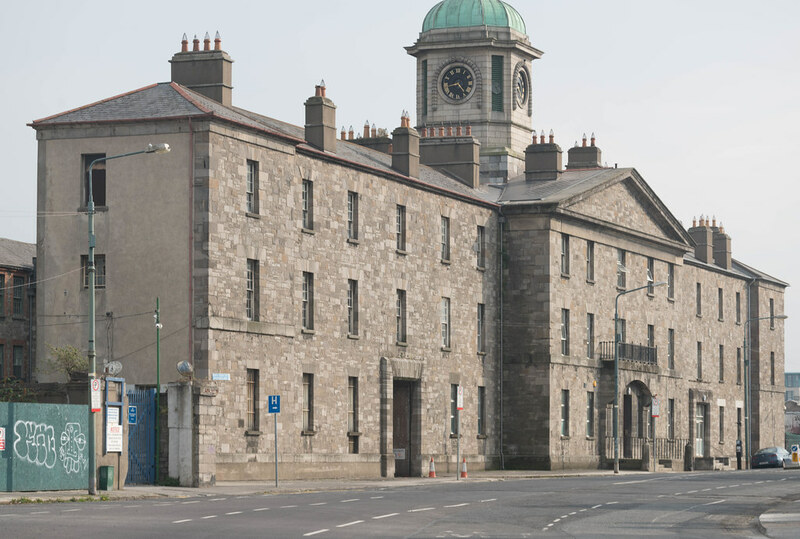 The Richmond General Penitentiary was a prison established in 1820 in Grangegorman as an alternative to transportation. It was part of an experiment into a penitentiary system which also involved Millbank Penitentiary, London. Richmond and Millbank penitentiaries were the first prisons in the United Kingdom of Great Britain and Ireland (as it was at the time) to specialise in reform rather than punishment. The building was designed by the architect Francis Johnston and decorated by George Stapleton. The building ceased to be a penitentiary in 1831, and later became part of the Richmond Asylum. Architecturally this "brooding" and "dour" building has been described as realising "as bald an expression of the late Georgian penal code as one is likely to get". 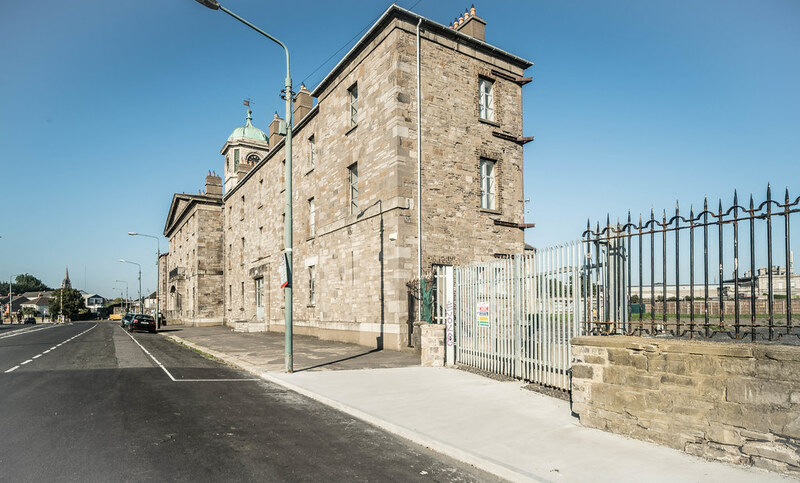 Sited close to the House of Industry, the forbidding frontage of the penitentiary, which consisted of one central block featuring a clock-tower with two wings either side in which were placed massive entry gates, originally extended 700 feet along Grangegorman Lane. According to one contemporary commentator the exterior of the building was "imposing" and "calculated to produce in the mind of the approaching criminal, an impression of hopeless incarceration, and compel him to resign at once every idea of liberty, unless deserved by a reform of conduct." Following concepts of prison design that had become popular with progressive architects since the 1770s, the penitentiary employed a complex radial design consisting of a semi-octagonal shape divided down the middle by a long central corridor which was flanked by kitchens, shops, chapels, and yards, and extended from the front to the rear of the building. This central corridor divided the penitentiary into male and female sides. Each half was also subdivided into three individual wedge-shaped compartments divided from each other by radiating corridors and walls. Each of these segments were also divided by transverse walls and corridors the first section of which contained workshops and then cells surrounding an exercise yard. The large outer exercise yard was bisected by a central radiating structure running to the rear perimeter wall which contained solitary cells and infirmaries. According to Markus Reuber this standard penitentiary design, conceived of as an architectural technology to achieve the reform of the prisoner, sought to incorporate monastic principles of seclusion, solitude, silence and work into the spatial organisation of the prison.